Most of us have an online presence on some level or another, but have you ever thought about how the content you choose to post online could effect your career? More and more HR professionals are turning to the internet to seek out information about candidates, including social media profiles, personal websites and blogs. Depending on how you conduct yourself online, this could be either beneficial or harmful to your job search, so it’s important to think about how you represent yourself online. .Me conducted a survey to see how online content can influence your job search and here’s what they found. 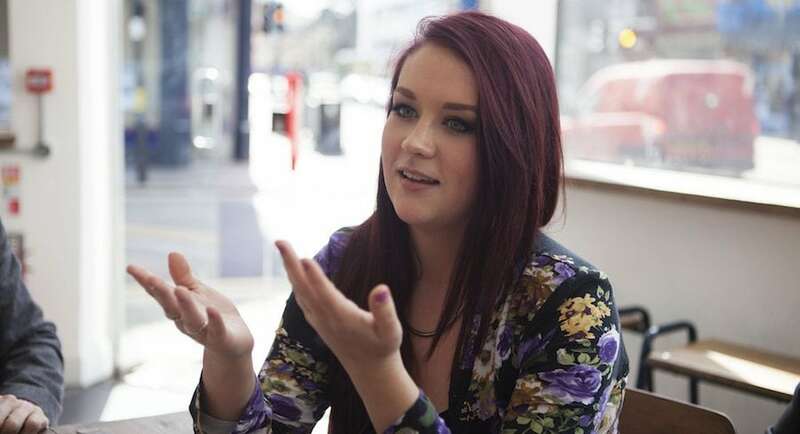 What are HR professionals thoughts about social media? 83% of HR resources professionals believe that the recruitment process is going to become more and more reliant on digital content over the coming years, suggesting that your social media accounts may be a first point of call when assessing job applicants for a role. Building an online presence for yourself can be a good or bad thing. 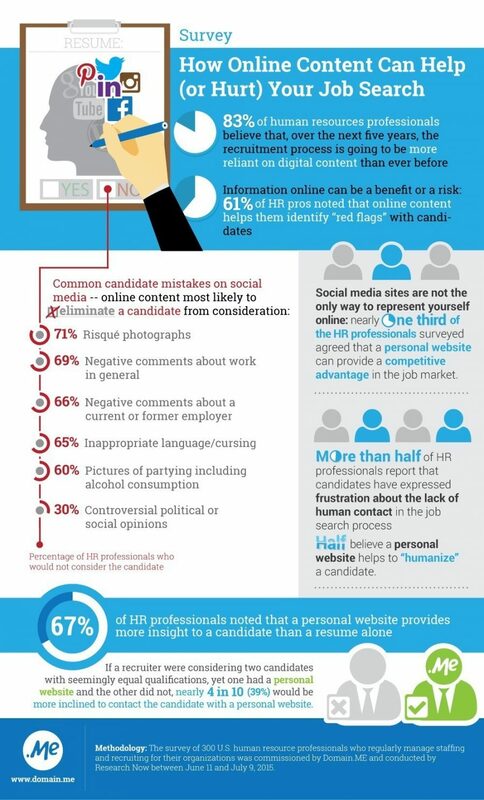 61% of HR professionals said that negative content can help them to rule out candidates who they deem inappropriate or unprofessional. What are some common mistakes people make on social media? Posting risque photographs or photographs of you drinking/partying on profiles that are open for public viewing. If you must do so make sure your security settings are tight! Writing negative comments about their current job or colleagues. It only reflects badly on you and gives the impression that you have a bad attitude. Sharing controversial opinions. You may feel strongly about something and in a way it’s good that you are passionate about a cause, however chances are that your prospective employers do not agree with your views. Is it worthwhile to create a person website? Around a third of the HR professionals involved in the survey said that they feel a personal website is a good way to create a personal brand online and that it can provide more insight into a candidates background than a resume. 4 in 10 HR professionals would feel more inclined to choose a candidate who had created a personal website over someone who had not.